The practice of putting together different tools has been around for centuries. However, the multi-tool we’re all familiar with was first conceptualized as recently as 1984, when Tim Letterman invented his “pocket survival tool”. 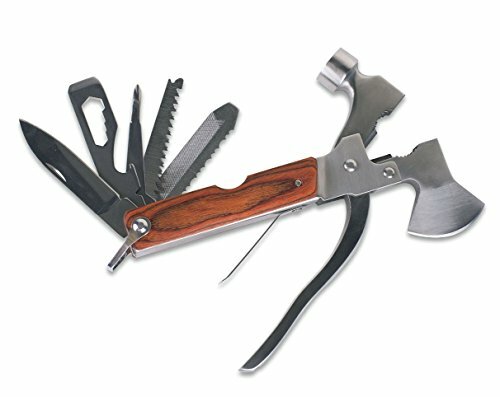 The best multi tools of today originated from this invention, combining different tools AND keeping them small and portable enough to make them practical for EDC (every day carrying). What matters the most is that the multi tool you select will actually be useful to you. With such a large selection to choose from, you might feel like you’re better off going with a huge multi tool. This isn’t always worth it if you don’t reasonably foresee yourself using all of the attachments. It might be more difficult than you think to find the perfect tool. If you’re looking for the best EDC multi tool, you have to understand that looking for the right option means you have to start evaluating your own needs. Why Pick Certain Multi Tools? How do I bring it with me? Do you need something with all kinds of tools or just a handful of features will be enough? Do you need something you can use outside or just in the workshop? Understanding what different tools are designed for and the way you intend to use them will go a long way in helping you find a multi tool that you will reach for every day. These tools are all wonderful for everyday carry, but your lifestyle may affect what kind of tool you’ll actually use on a daily basis. Once you figure that out, you’ll have an easier time searching for the best pocket multi tool. Shopping for a multi tool is very different from shopping for a regular tool, or even a knife. Multi tools come with a ton of components, and this changes the way you should judge their quality and the way in which they should be used. The best multi tools will always work with the user’s intuition and stand up to all the tasks that a user needs the tool for. Multi tools incorporate a lot of gadgets. They need to be opened and closed frequently, and each tool requires a different kind of maintenance. Knives need to be sharpened, and so do scissors. Tools with joints, such as pliers, will need to be tightened from time to time. You’ll need to know that your multi tool isn’t going to fall apart on you. If you purchase a multi tool that has too few functions, you’ll need to supplement it with other tools. This defeats the purpose of having the best multi tool for EDC. It may not be possible to find every tool you’ll ever need to use on a single multi tool, but you’ll want to make sure the one you decide on has as many of your most frequently used tool as possible. A tool with too many functions is just as much of a disadvantage. It will be heavy, and you won’t use most of the functions. You’re better off buying a smaller tool where you’ll actually use all of the functions. It’s more economical to purchase only what you’ll need rather than something you’ll find mostly useless. Some multi tools are a little complicated to use. It’s bound to happen – especially when so many tools are jammed into a small case. If you have a lot of tools to work with, this might make your multi tool a little more complicated to use. If you want something you can grab and go, especially if you’re looking for a multi tool that you can switch with one hand, you might be better off settling for a simpler multi tool. Different multi tool properties address different needs. This means the best hunting multi tool may not be the ideal option if you’re looking for something that’s more of a general purpose option. To make things easier to check, here’s a list of the things you need to look for when searching for a good multi tool. These are the best multi tools if your main concern is portability. As their name implies, typical keychain-style multi tools are small enough to be attached to a set of keys. Since people usually have their keys with them, this means they’ll also have access to their multi tools all the time. The only major drawback of keychain-style tools is size. In order to stay lightweight and compact, key-chain-style multi tools can’t be too big. This means the tools are mostly good for making small cuts or adjusting small screws. In some cases, trying to handle larger tasks with a keychain-style multi tool can result in the multi tool getting damaged. The most popular kind of multi tool, full-sized multi-tools can afford to have thicker screws, blades, and other features, which make them more usable in a wider variety of situations. Still, not all full-sized multi tools are the same; some can have way more features than others. Since most of the best multi tools we’ll recommend later are full-sized multi tools, it’s much better to look at each option in terms of their build quality, cost, and carry methods unless you prefer keychain-style options. Some multi tools are specially designed to have features more appropriate for certain tasks. For example, a multi tool with geared pliers and better wrenches would be more appropriate for construction-related work, but it would be too heavy to be the best hunting multi tool. On the other hand, a multi tool for hunting could have a blade designed for skinning that would otherwise be useless inside a workshop. Multi tools are tailored. Since they contain so many implements in a single case, manufacturers try to put them together with a theme. Tools are commonly used together tend to be placed into the same multi tool. For example, the best survival multi tool may not be the best fishing multi tool. The style of multi tool you choose should be suited to the things you’ll use it for the most. A basic use multi tool should contain commonly used tools that most people will have a reason to reach for. The best pocket multi tool will contain things like small blades, bottle openers, can openers, scissors, and even toothpicks. These are great for everyone, as the tools can be used in many different ways. Everyone will be able to use everything, and none of the attachments will go to waste. People who work with their hands are always looking for the best multi tool for EDC. Carpenters, plumbers, electricians, and contractors are always looking for things that will make their lives easier. If your profession requires you to carry around a lot of tools, having a multi tool will simplify this process quite a bit. You’ll never need to run back to your toolbox because you forgot something. If you’re getting a multi tool for work, make sure it’s the best pocket multi tool for the job. Look for attachments that are similar to the tools you use the most. Electricians will prefer multi tools that have wire strippers and scissors. Contractors will probably appreciate things like screwdrivers and knives. Multi tools are important for people who have outdoor hobbies. You might want the best multi tool for camping that features everything you’d need to handle your campsite. Perhaps you want the best multi tool for fishing, so you can pack your tackle box a little lighter. You’ll even be able to find the best multi tool for survival, and you’ll be glad to have it if something comes up while you’re out on a hike. Now that you know the different types of multi tools, the next thing you should consider is why you want a certain kind of multi tool. Here are the following questions that you should ask yourself to see if you chose the best multi tools for yourself. A multi tool is only as good as how well its owner can use it. The best backpacking multi tool may be full of features for hiking, but there’s no point in stacking multi tool features if you don’t know how to use them properly. If you’re the type that can perform DIY fixes without much problem, then a multi tool with more features will suit you. Otherwise, you’re basically carrying a multi tool with lots of excess weight and you’re better off with a lighter option. The best fishing multi tool is obviously a must have for someone who goes out fishing on a regular basis. Otherwise, there’s really not much reason to get it if you only go out fishing once every few months. This goes hand-in-hand with the first question; if you want something available in case of emergency but you don’t see it used a lot all the time, as smaller, lighter, keychain-style multi tool would be the better option for EDC. Do you frequently wear pants with big pockets or carry a bag? Do you want your multi tool always within arm’s reach or you don’t mind placing it somewhere else? Choosing a multi tool based on size, weight, and portability features such as lanyards or pouches greatly depends on how you want to bring your multi tool with you. Even where you spend your time can affect your ideal multi tool option. For example, if you work somewhere that involves cutting a lot of food while outdoors, then something with a large blade would be the best multi tool for camping. If you’re mostly an office guy, a light general purpose option would make the best EDC multi tool for you. Scissors – Important for cutting paper and other materials. Screwdrivers – You may have to tighten a few screws every now and then. Pliers – They can be used to hold or bend stuff, you might even use them more often than screwdrivers. Bottle Openers – Especially if you like drinking bottled drinks on a regular basis. Main blade – A multi-purpose tool for cutting, scoring, or sharpening things. The following multi tools can give you a good idea of what options you should consider depending on specific cases. Whether you’re looking for the best hunting multi tool or the best backpacking multi tool, you’ll be able to find a suitable one here. Multi tools are all designed uniquely, and these are some of the most popular styles. Everyone can get everyday use out of a multi tool, as long as they can envision themselves using it and decide on the right one. While there may be better alternatives out there, these ones are generally preferred by other multi tool owners, because of their practicality. 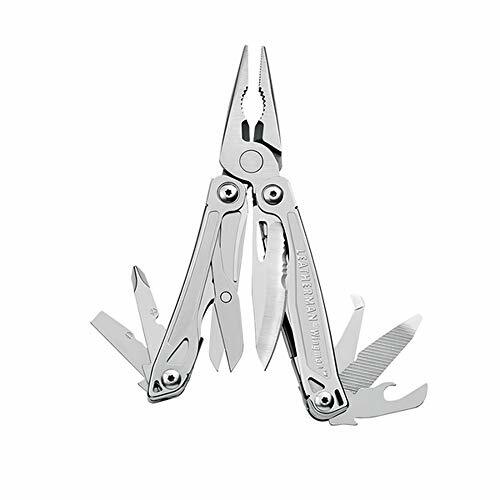 A top-selling multi-tool in major shopping sites, the best Leatherman multi tool sports no less than 14 tools in its arsenal. Each tool can be accessed with only one hand to allow multi-tasking. Made of stainless steel, the Wingman can be exposed to high moisture environments without the threat of rust and corrosion. You don’t even have to open the wingman; some of its features are entirely accessible from outside, which is almost as quick and as convenient as having a pocket knife. For many multi tool owners, the Leatherman Wingman is the best EDC multi tool. The best part? It’s at a bargain price too. 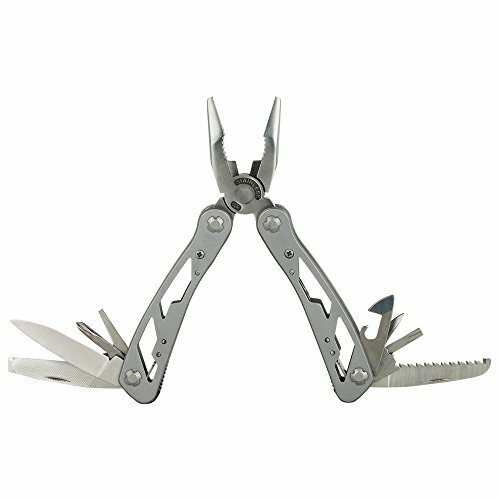 This is the best Leatherman multi tool. It’s perfect for the everyday tinkerer. You’d be surprised the things you can fix (or even build) with this Leatherman alone. 14 different tools provide excellent versatility. Stainless steel means good durability. Unlike similar multi tools build into pliers, some of the tools can be accessed from the outside of the pliers casing. This means you won’t have to open the entire Leatherman just to gain access to your screwdriver or your file. 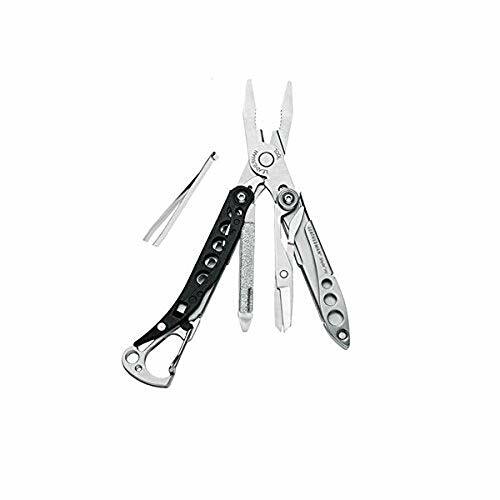 This Leatherman is designed to be operated with only one hand. This makes it safer and more convenient to use when you need to be able to multi task, or hold onto a ladder while you’re working. The Wingman’s knife blade automatically locks itself when the tool is opened. When you want to access the knife, you’ll need to manually unlock it. This is an important safety feature that can protect you when you’re using the tool one handed. The main blade is rather short. Doesn’t come with a carrying sheath. If you want to use it with one, you’ll need to purchase it separately. 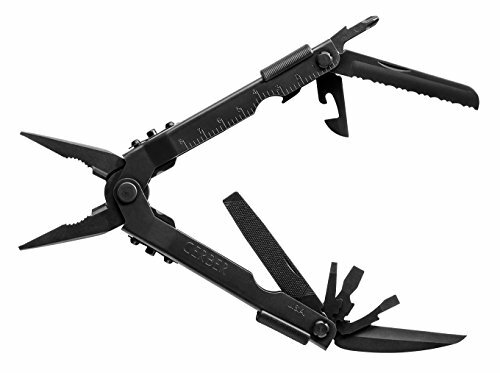 Another inexpensive powerhouse, the best Gerber multi tool sports more tools than the Leatherman Wingman (the Suspension has a wood saw), but they are pretty much similar. It does offer a slightly better group, thanks to its rounded out handles. Taking out the Suspension’s blades is also a lot easier because each one has thumb catches, making it possible to open them with only one hand. The Suspension is a bit on the bulky side, but with big bulk comes more ruggedness. 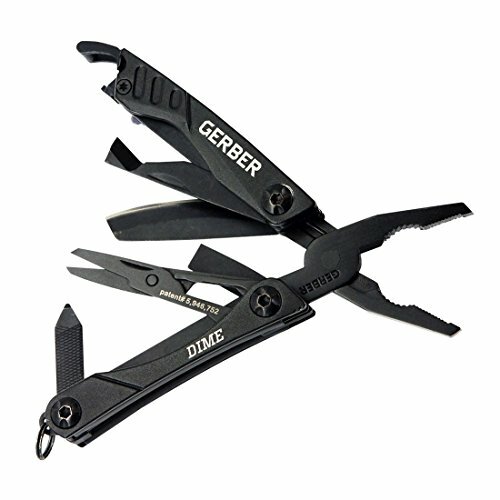 This is the best Gerber multi tool. It’s great for both indoor and outdoor use. Fishermen and hikers will appreciate this just as much as a factory worker will. This is one multi tool you’d want to take if you expect to put it to heavy use. This multi tool utilizes Gerber’s signature Saf. T. Plus locking system that keeps your tools safe while not in use. The knives won’t pop out as long as you lock the tools back into the handles after you’re done with them. In addition to the tools included with this multi tool, you can purchase and add on more accessories. These tool kits allow you to transform this into the ultimate customized multi tool. Snap on drill bits before you take it to work, and put them away when you’re going camping. Comes with a ballistic nylon sheath. If you don’t want to carry this multi tool in your pocket, you can clip it to your utility belt. A bit too heavy and bulky. The scissors are a little on the smaller side. They work fine for things like fishing line, but may not work as well for things like cardboard or plastic packaging. 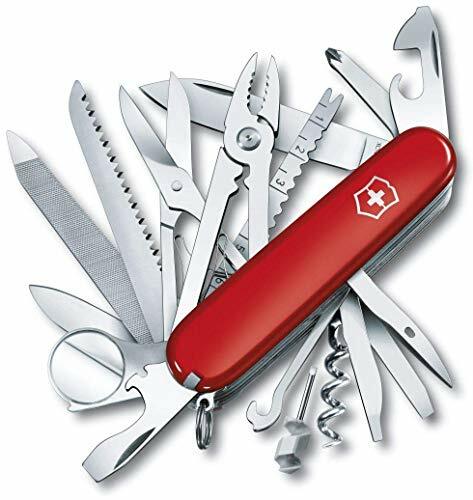 This SwissChamp is a Swiss Army knife that’s equipped with 32 tools, and all of them are useful for a variety of purposes. This is truly a pocket-sized toolbox in a slim, portable case. Not only does it have basic tools that you would expect from a multi tool, such as blades, pliers, screwdrivers and scissors, but it also has a few handy gadgets that you may not expect. 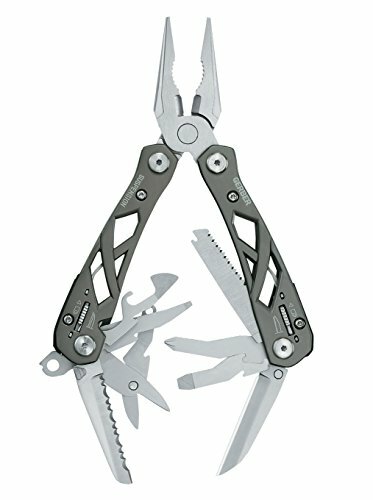 This is the best backpacking multi tool. If you’re a hiker or a backpacker, you’re going to need a lot of tools to help you get by. Many people would also consider this to be the best hunting multi tool, thanks to the attachments that can be used to field dress an animal. This Swiss Army knife features almost everything you’d need and a few things you don’t expect that might come in handy. This is truly designed to be a one size fits all solution, and it comes a lot closer to fulfilling that promise than many other multi tools do. In addition to the host of traditional multi tool attachments equipped with the SwissChamp, you’ll also find a few basic necessities that you might not have realized you needed. You’re getting a can opener, a bottle opener, a corkscrew, and even a small magnifying glass. 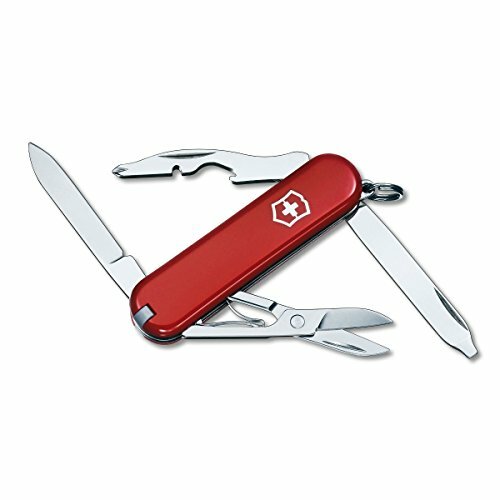 Victorinox offers all of their Swiss army knives in a variety of scale colors, making it one of the only multi tools you can actually personalize. If you’re traveling with someone else who has the same tool, you won’t mix them up if they’re different shades. This features a few specific task tools like fish scalers and hook disgorgers. If you’re backpacking, you never know when you might need to reach for one of these things. Since this knife is so densely packed with attachments, it’s a little on the heavy side. It may not be ideal for your pocket, but it will certainly fit well in your bag. If you want something lighter without sacrificing too much features, the Stanley 84-519K’s got you covered. This is a basic multi tool that comes at an affordable price. Its twelve tools provide you with all the necessities without being overkill. The bare-bones design may seem flimsy, but it’s actually quite tough because everything is made of stainless steel. Despite being slightly smaller than the usual multi tool, it’s a well-built piece. It could be considered one of the best multi tools because of the amount of value you can get. You may want to consider buying an extra in case you lose your first one. It’s nothing too fancy, which makes it an excellent choice for a new multi tool enthusiast, or someone who is simply dabbling with the idea of incorporating an EDC tool into their everyday life. Stainless steel provides excellent durability. Very cheap; great value for money. The pliers are needle nose at the tip, with larger pliers and a wire cutter towards the center. It also converts into curve jaw pliers. Comes with a nylon holster that can be affixed to belt loops or a utility belt for easy access on the job. Only comes with the basics, but they’re all the basics you’ll need. This includes a bottle opener, a blade, a file, a small saw, a can opener, a file, and several screwdrivers. Doesn’t snap or flick as well as higher-end multi tools. Belt loop on pouch wears out quickly. Doesn’t come with anything fancy. This multi tool is best for someone who’s looking for something for general use. Measuring only 2.75 inches and weighing only 2.2 oz, you’d be surprised if you get any utility out of such a small knife, but the Gerber dime has ten tools to keep your basic needs covered. The needle-nosed pliers are small enough to double as precision tweezers – something you won’t see in full-sized multi tools. Unlike the previous three options, the Gerber Dime is a keychain-style variant. Although the multi tool is too small to be viable for heavy work, it can work as a great backup tool when you don’t have access to more rugged tools. Matte black look is a plus for some people. Not suited for heavy usage. Small handle can be a problem for people with bigger hands. The Leatherman Skeletool may give off that “bare bones” vibe, but it’s actually one of the finest knives produced by Leatherman. Parts open and lock in place smoothly and the curves and overall design of the multi tool are nothing short of elegant. What makes a contender for being one of the best multi tools is the fact that it’s modular. Feel like you need something lightweight? Remove a few tool modules. Need more versatility? Just attach new ones. The Skeletool also uses the knife module and the spare bit module to form the grip on the pliers’ handles. 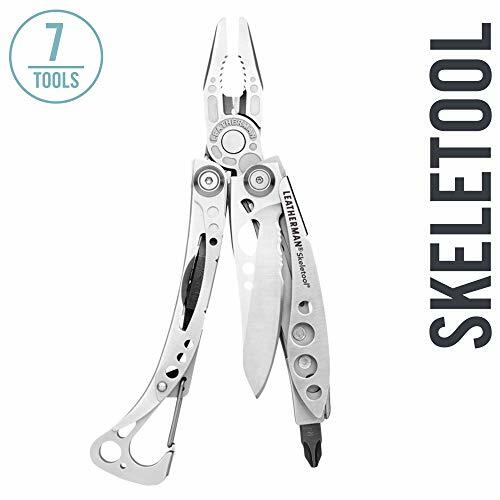 The Skeletool’s versatility makes it worthy of the title of best backpacking multi tool, where weight and utility matters a lot. Excellent design and overall patterns. Tools can be accessed without opening the pliers. 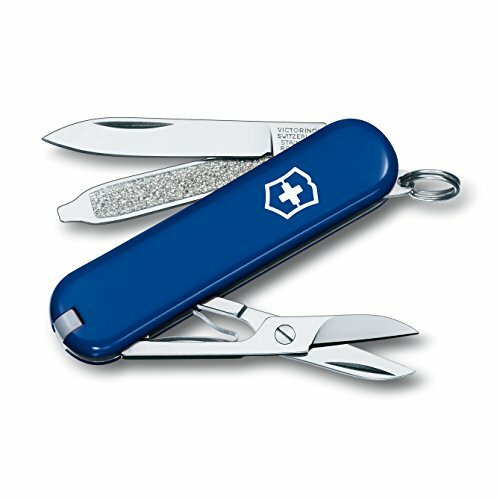 One of the most popular multi tool brands in the world, Victorinox is the poster brand for multi-purpose hand tools. The Swiss Army Rambler continues the legacy by being one of the most well-built multi tools around. Unlike some Swiss Army knives bristling with different tools, the Rambler only has two blades, a pair of mini scissors, and a nail file with a screw driver for a tip. It’s lightweight, portable, and stylish, making it a likely candidate for the best backpacking multi tool or the best fishing multi tool. Has all the basic necessities sans the pliers. A bit expensive considering the amount of features. Another solid multi tool from Gerber, the MP600 features all the necessary tools without sacrificing overall weight. Like the Suspension, the MP600 looks like it’s meant for heavy duty, not for looking good. The black oxide coating gives it an even more rugged look, although it tends to come off after the first few uses. The main reason why you’d want to pick this over the Suspension is weight. It’s surprisingly lightweight for something designed for heavy duty use, thanks to its stainless steel body. It also requires very little, if any maintenance. Has all the basics, no filler tools. Black oxide coating rubs off on hands and clothes after some use. Pliers must be open to access other tools. You hear about any Swiss Army multi tool and the first thing that will come to your mind is “superior craftsmanship,” and it shows; despite the advent of larger, more expensive multi tools, the Swiss Army Classic SD remains a reliable option. It’s light enough to fit your keychain but it can provide you the necessities in case you need some light tool work. You may need to look for a bigger, burlier multi tool for heavier tasks. Otherwise, the Swiss Army Classic SD should be more than enough, which is why many people around the world swear that it is the best EDC multi tool you can get your hands on. Provides the necessary basic tools. This is a multi tool designed for a very specific purpose. If you often find yourself alone in the great outdoors, you wouldn’t want to be stranded without it. This is a very unique multi tool that features attachments you won’t find anything else. If you’re a frequent hiker or camper, you’ll want to keep this in your bag at all times. This is the best multi tool for camping. You aren’t going to find many multi tools that incorporate a hammer, an ax, and multiple saw blades. You’d be a fool to pass this one up when you see it. All of the attachments are designed especially for campsite use. You’ll be able to pack a lighter load if you can rely on this multi tool to tend to all the harder stuff. Everyone can afford to travel a little lighter, and you won’t need much to supplement this multitool. This knife features quite a few attachments, but the most valuable are the hammer and the ax. If you need to cut up wood to make tent poles or hammer stakes into the ground, you’ll be able to do both with a single instrument. All of the tools are finished with a nonstick coating. This makes it easy to cook with this multi tool, and you won’t have to worry about tree sap destroying the outside of the tools. The knife, can opener, and saw blade are very useful for preparing a fish and making a meal. 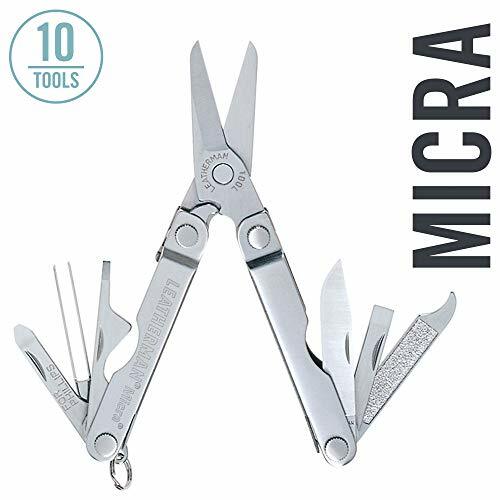 Another good product from Leatherman, the Micra is proof that the best pocket multi tool can come in a small package. The Micra’s strongest suit is its spring-loaded scissors, which operate so smooth that you may be tempted to cut more than you need. Other key features include a pen knife, two flathead screwdrivers, and a Phillips screwdriver, a pair of tweezers, and a combination nail file and cleaner. The handles can also be straightened out and used as a makeshift ruler. Great for general office/indoor use. Excellent scissors; better than Swiss Army. Pen knife is rather underwhelming. We go even smaller for the last item in this list with the Style PS, also from Leatherman. This minuscule multi-tool features a mostly stainless steel body with fiber reinforced nylon panel on one side for extra grip. If the Micra has a good pair of scissors, the Style PS has a good pair of spring-loaded pliers. Even the Style PS’ wire cutters make short work of 12 gauge copper wire. To make it even easier to use, the Style PS comes with a carabineer clip to make it easier to remove from your key ring. Excellent pair of pliers and wire cutter. Carabiner clip allows easy access. Offers very little beyond basic functionality. While choosing a single multi tool would usually be more than enough to keep you covered, you may want to consider getting a second pair to complement the first one’s shortcomings. For example, you can keep a keychain-style multi tool with you at all times, but you can also have a full-sized variant stowed in a nearby drawer. Almost everything in the average toolbox can be condensed down into a series of multi tools. If you like to be handy on the go, the sky is the limit. At the end of the day, the best multi tools are always the ones you’ll use and love. Although multi tools are designed to perform as many functions as possible, you wouldn’t want the best multi tool for camping slicing food after it’s been used to cut a greasy tire interior earlier or used somewhere else. That wraps up this guide to search for the best multi tools. Do you have a specific multi tool that you would want to recommend? Let us know by leaving a comment!